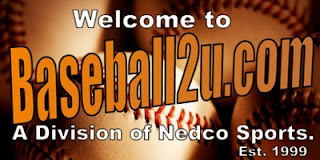 BASEBALL2U.com - Over 1400 products and growing. Satistfaction 100% Guarenteed! Order by phone or online! We are a fully licensed sporting goods dealer that has been in business since 1999.